Since the 1960’s, methandrostenolone has been a popular steroid for athletes and competitive bodybuilders who want to quickly build muscle and improve their muscle tone. Methandrostenolone is also known by several trade names, including Dbol, Dianabol and Danabol. You can buy Methandrostenolone in injectable form, but Dianabol is mostly taken orally in the form of a tablet, which is exclusively used by certain bodybuilders and athletes. Dbol is similar to other oral steroids, however it has a 17 alpha-alkylated structure, where the 17th carbon structure has been modified to bypass the liver. This altered structure allows it to go directly into the bloodstream and become readily available for metabolism. Since it reaches the blood stream quicker, the effects and potential side effects are also observed quicker. Bodybuilders often use Dianabol to increase size and strength during the bulking stage of their training. The half-life of Dianabol is approximately five hours, making it a fast-acting anabolic steroid. It is often used at the beginning of a cycle to quickly start training and at the middle or end of cycle to prevent plateaus where bodybuilders see significant slowing or stopping of their muscle gains. Generally, the recommended dose is 20-50mg daily, with a lower recommended dosage at the beginning of a cycle. Starting with a lower daily dosage and titrating upward can help bodybuilders become accustomed to the effects. Doses over 100mgs daily can constitute an overdose and cause numerous adverse effects. Methandrostenolone has similarities to testosterone and both can have adverse effects. This strong steroid can cause gynecomastia during the early stages of intake, due to its oestrogenic effects, since higher doses are often used during this time. Gynecomastia causes male bodybuilders to develop female breast tissue. Another concern with methandrostenolone (Dianabol) is that it can cause significant water retention, reducing muscle definition and increasing subcutaneous fat and fluid. The underlying cause of the water retention is the change from male hormones to oestrogens. Water retention causes a bloated look, which is undesirable in bodybuilding. This change toward female hormones increases the overall amount of oestrogen, which has a domino effect of being counterproductive to bodybuilding. The oestrogens cause an overall reduction in muscle tone and mass. Bodybuilders often counteract the oestrogenic effects of methandrostenolone by taking anti-oestrogenic drugs. Anti-oestrogenic drugs are expensive and can have significant side effects of their own. Dianabol Methandrostenolone side effects can also be androgenic in nature. These and androgenic side effects can result in increased oil production in the skin, an increase in acne and body hair, and even hair loss, especially in men who are prone to baldness. The oral anabolic steroid is a popular choice due to its low cost. Dianabol pills for sale are widely available online from a variety of producers and suppliers. Remember the steroid id illegal to buy and use, therefore its only available on the black market. Even so, Dbol is very accessible and its easy to acquire the steroid in an array of doses from 5, 10, 15 and 20mg doses. Many websites stock the oral steroid and it can be purchased without a prescription outside the USA and Western Europe. If you are considering to buy methandrostenolone you should be aware that it is a very powerful steroid with the risk of serious side effects. The drug should only be taken with supervision from a medical professional. It also requires careful planning in terms of the dosage amount and the length of the cycle. 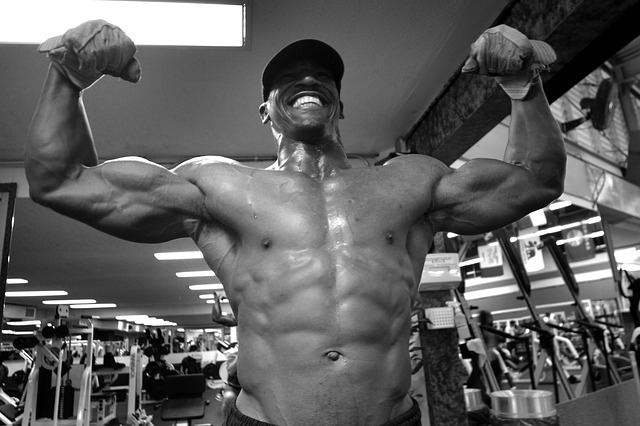 For a Dianabol bulkng cycle, the maximum period on DBol should only be six weeks. Furthermore, you will need to run a PCT (post cycle therapy) to rebalance the bodies hormone levels and to stay healthy.